Heeft u een vraag voor Amari Buriram United? Voor reizigers die komen voor de bezienswaardigheden van Buriram, is Amari Buriram United een perfecte keuze. Op slechts 37.4 km afstand, kan dit 4-sterren hotel eenvoudig worden bereikt vanaf het vliegveld. Dankzij de praktische locatie liggen alle belangrijke trekpleisters in de buurt van het hotel. Voor Amari Buriram United is niets teveel om het gasten naar de zin te maken. Zo biedt dit hotel goede service en vele faciliteiten. Voor het comfort en gemak van de gasten biedt het hotel gratis wi-fi in alle kamers, 24-uur beveiliging, dagelijkse schoonmaak, cadeau-/souvenirwinkel, 24-uur receptie. Alle accommodaties beschikken over doordachte voorzieningen om een ongeëvenaard gevoel van comfort te garanderen. Of u nu van fitness houdt of gewoon lekker wilt ontspannen na een drukke dag, het kan allemaal in dit hotel dankzij faciliteiten als fitnesscentrum, zwembad (buiten), tennisbanen, tafeltennis, tuin. 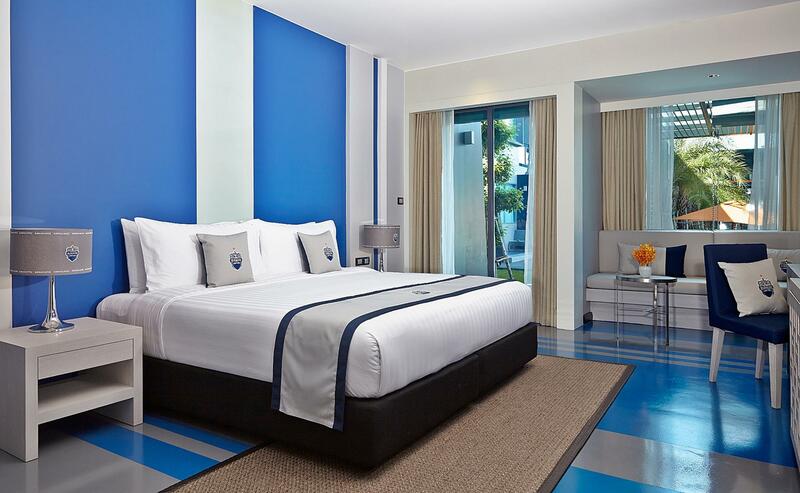 Het Amari Buriram United is een uitgelezen keuze als u een kwaliteitsaccommodatie zoekt in Buriram. This was our third time at this hotel. We were treated like VIP guests every time. We visit Thailand every 1-2 years. In the past it was very hard for us to stay at different hotel, the only one and oldest hotel in town before soccer stadium was built. Thank you Amari Buriram United for making our stay very pleasant, comfortable and worry free. Friendly and attentive staffs, excellent wifi. comfortable bed. Staffs speak English quite well. They always make us feel so special. GM was very friendly and did everything we asked for. He was always looking to please us. Will definitely stay here again. Sawadee Krub Khun Usa, Thank you very much for the time you took to write this extensive review. I am thrilled to hear that you had a fabulous stay, and enjoyed our servuce as you listed.It is always a real pleasure to learn that our loyal guests have enjoyed yet another stay with us. Myself and our team would like to make the nice memorable for our family like you and Khun David. We looking forward to welcoming you back again in nearest future. Kindest regards, Jack Chewin M. General Manager. This was a very nice hotel and nothing really to complain about. I think the prices can be quite high if there are events nearby but if not you should be able to find a discount to make it more palatable. My one annoyance was that my room had one of those pass-through doors they can open to connect to the adjacent room and we could hear everything next door very clearly. Also could hear people in the hallways which wasn’t much of a problem until they stand outside their door chatting for 20 min at 2am! The location is good, so long as you have transport. The amenities are quite good. Didn’t eat at the restaurant but it seemed very expensive. All-in-all, I would stay here again but only at a pretty discounted rate. The rooms were clean, the hotel staff good. Breakfast facilities were just right for me who does not want to be swamped with mountains of food you know is going to be dumped. But, and a big "but", we were there when there was no function on at the (very) nearby Buriram United football grounds. I suspect that for tourists, the hotel might be less attractive at those times. Equally, every Buriram United supporter would be fighting to get a room there. Overall, we would definitely stay there again if we were in the area. 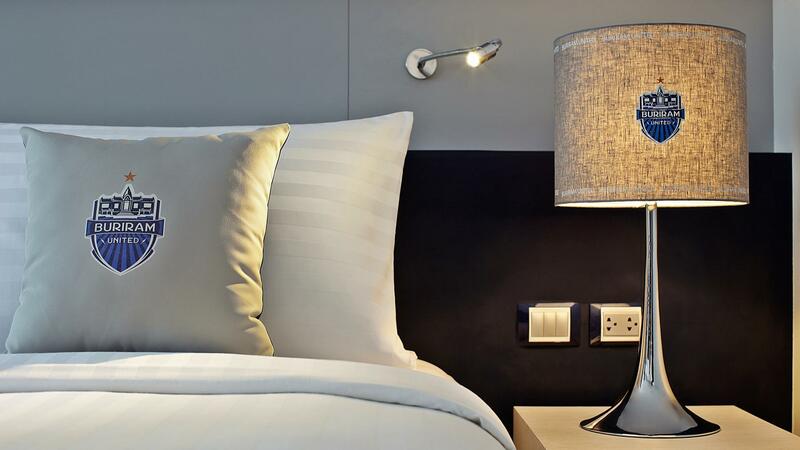 First time stay with amari, good size rooms clean and well equipped. Beds big and very comfortable. The ground floor rooms facing the pool are best as they have a small seating area outside . The pool is a bit on the small side but it was very quiet when I was there so I mostly had it to myself. The hotel feels a bit removed from the action.but I guess when matches are on or Motorsport it will be busier . Breakfast buffet good selection. My room is so smelly but staff change to the new room but still smelly. So, I move to the cheapest one to close to my friends' room. The staffs are so nice and helpful. THe fitness room is very good. Sawadee Krub Khun Sudasawan, Thank you very much for the time you took to write this extensive review. I am thrilled to hear that you had a fabulous stay, and enjoyed our facilities in the areas you listed. Your kind compliments have been passed on to my fellow Team Members. In any service industry, special emphasis is placed on staff training and it is always rewarding when guests voice their appreciation Thank you again for sharing your experience. We look forward to the pleasure of welcoming you back in the near future. Yours sincerely, Jack chewin M. General Manager. Newer hotel with great room, bathroom and top pool. Front desk staff highly trained with great english skills. The breakfast is a must. The location is at the race track which is next to Buriram town The staff are the main asset with all going out of their way to please. Sawadee Krub Mr.John, Thank you very much for the time you took to write this extensive review. I am thrilled to hear that you had a fabulous stay, and enjoyed our facilities in the areas you listed.We look forward to welcoming you on your next visit to Samui, and should you need any assistance please feel free to contact us anytime. Your sincerely, Jack Chewin M. General Manager. Always a nice place to stay, the staff are excellent, rooms are good, pool if fine, never busy, gym is ok too. I would ecommend this place. Sawadee Krub Khun David, Thank you very much for your Thank you very much for the time you took to write this extensive review. I am thrilled to hear that you had a fabulous stay, and enjoyed our facilities in the areas you listed. We look forward to welcoming you on your next visit to Buriram, and should you need any assistance please feel free to contact us anytime. Kindest regards, Chewin M. General Manager. Great hotel with very good amenities, great staff, very good breakfast, good bar and not too pricey. The location is perfect if you, like me, want to watch the football but only average if you prefer "downtown". My favourite hotel in Buriram for sure! Front staff are very friendly and helpful. Room & bed are good. Lighting is good. Lots of TV channels. Good to have a swimming pool & fitness, although small ones. Food was good, but the restaurant staff, particularly, a waiter, was intentionally negligent. Tried to look away and ignore as much as he could. Really a shame for the brand. Car park has no shade and it is so hot to park under the sun. Everything else is just fine. Rather convenient to have a shopping avenue close by. Room is large and clean, nice decorations and have all the necessary facilities and equipments that a four star hotel usually offers. The staff is very accommodating and helpful, I have absolutely no complain about their hospitality. The restaurant/coffee shop is also very clean and stylish. The most important attractions of the own are all in walking distance. Big room, nice shower, good internet - liked it very much. Next to the stadium, five minutes walk to the left a good thai food market - walk three minutes to the right - fastfood like MC, Donouts and so on! City center you need trasnport! 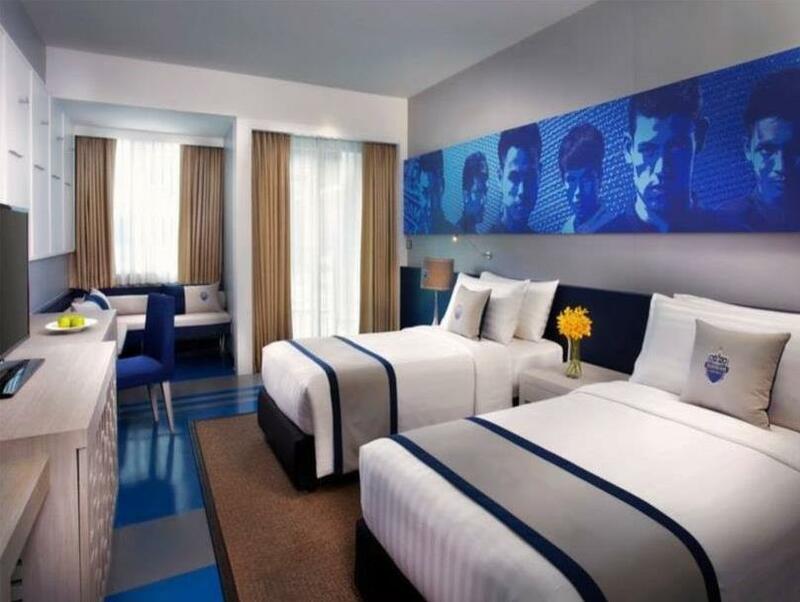 This hotel is situated right next to Buriram United Football Stadium and the racing circuit so it's perfect if your going to watch Buriram play or visit the race track. The rooms are clean and comfortable. The Buffett breakfast is very good. The staff are very friendly and helpful. You can also cheaply rent good quality TREK mountain bikes from the hotel to have a ride about. I would recommend this Hotel to anyone visiting Buriram. A good quality hotel situated on the edge of town, adjacent to the football ground and international racing circuit. The rooms were well appointed and comfortable. Service was attentive. Overall good value. This is one of the nicest stay I've experience. The hotel would had be better had they have a spa in the hotel, but given that the city doesn't spark much tourist interest. It doesn't make sense to have one. Highly Recommended. The best hotel in Buriram, I think. Nice Rooms, good food, new and clean However the staff are less than charming - we were very unimpressed by the way we treated us. They always say "NO" for everything, not even consider. Once we realised where it was (inside next to the football stadium) and did a big loop to get back i was at once hit with the low key non flashy appearance of it. Yes, you cant see it from the main road. Check in was a breeze and the rooms large airy and comfortable. I wasnt over-awed by the decor of 10x life size faces of the current Buriram United team all over the wall but i guess it is themed as such as was far from a detractor. TV service good, pool good, staff great and friendly, breakfast good, other meals good as well. Fairly wide range of beers available too. Has a small gym but only stepped in for a peek. If going for a match or an event at the track (as we were) then its a great option. 200m to stadium and maybe 2 km to the track..
We had a great stay at Amari Buriram United Stadium and choosed it because its next to Thunder Castle,where we watched a home Match.Very friendly service,nice rooms,nice Pool and Garden. Food was good but expensive,Price double compare to days,when there is no football match,but worth to stay. We wanted to watch Buriram United play but we live just a bit too far away from the stadium to drive there, watch the match and then drive home at 9 to 9:30 pm. We found this hotel and we were really happy with it. 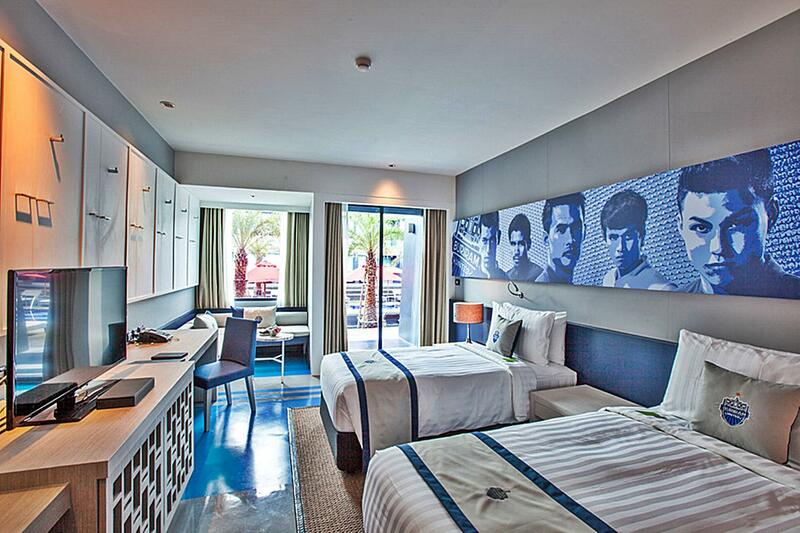 Nice sized room, very comfortable bed, football theme, new and modern. Being just a five minute walk from the stadium is perfect too. The crowning glory was the game itself: Buriram won 3:0 and everything was great. Modern ground, good leg room for the seats and the atmosphere was fantastic. Singing for the entire game. Really good.